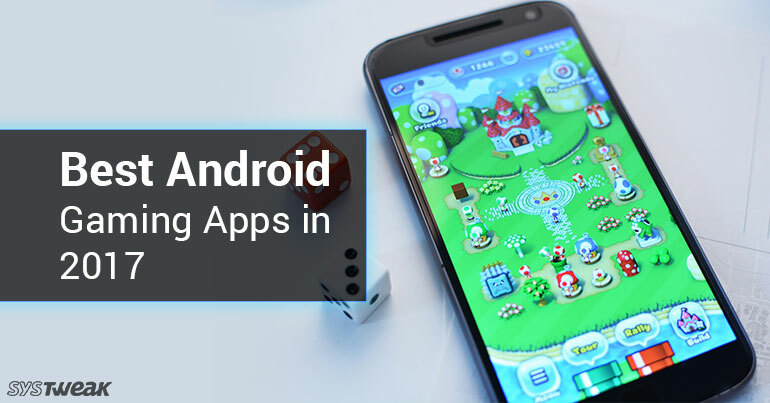 With a bunch of intense gaming apps released in 2017, it has been a tough competition and we are sure choosing the best of them all must have been a tough call for editors at Google Play Store. This year witnessed the launch of some of the most amazing gaming apps. They allured users with their stupefying interface, spellbinding gameplay, and graphics. You will agree that 2017 saw some of the most engaging, exciting and innovative games in the gaming industry. Like every year, Google Play announced some of the best gaming apps in various categories. We’ve listed the best gaming apps which topped the charts in most competitive, most social, best indie, most innovative, best to pick up & play, best for kids and most popular. So, here we go! Clash Royale has been given number one ranking in the most competitive category. This game is a dual player game, users from across the globe play in real-time and whoever wins the match takes the trophies. It is all about how to destroy opponent’s towers and win crown to earn epic Crown chests. You need to earn maximum chests to unlock rewards, to get advanced power cards or to upgrade the current cards as well. You can challenge your clanmates and friends to a private duel. You can easily learn different battle tactics by watching the best duels on TV Royale. Boggle with Friends is ranked on the top in the most social category in 2017. As the name says, it is the most social word search game that lets you challenge your friends, colleagues, and family members to play. The game is all about flaunting your puzzle resolving skills, you can find the words and earn bragging rights. You will get a new challenge every day that you need to complete same day to earn rewards. The app lets you spin the price wheel every day to win cool prizes and power-ups to boost your powers. Boggle with Friends is an amazing app that has been trusted by more than thousands of the users across the world. Miracle Merchant is a remarkable game and a winner of Google Play in the most Indie game 2017 category. It is an intuitive and solitaire style gameplay that won loads of hearts. Every gameplay is full of exciting, inimitable and erratic set of cards that challenge you and test your skills at every corner. As the games come with daily loaded tasks that make it more interesting to compete with other players via online leaderboards. After the End: Forsaken Destiny is a wonderful game that topped the list in the most innovative game category. The game is all about resolving stunning and dynamic 3d puzzles that surround you. You can use hidden levers and secret switches to create new pathways to get your destination. You can go on board on a mysterious and adventures journey so that you can experience the parallel journey of a father and son. You can check out whether the father and son will be reconnected in the end or not. Cooking Craze is another amazing Android app that topped the charts in the best to pick up & play category. As the name reflects, the app helps you cook, grill, and bake the way worldwide famous restaurant chef fame does. This app helps you enhance your cooking hobbies be it grilling tasty burgers, pizzas or mouthwatering delicious desserts. By using this app, you can let world know about your capabilities and strength. The bottom line is, it is a great app that helps unwind your stressful days and engage you for the better. Toca Life: Hospital is a game that made it to number one on the list of the best game for kids in 2017. It is an astonishing game that is loved by kids and that will give peace of mind to mom and dad instead of driving them crazy. Toca Life is based on the concept of how a hospital works. The game is about the welcoming newborn babies into the world, how medical staff, family members love and care for these tiny, swaddled cuties, how hospital staff treats sick patients and how they deal with sad moments. Super Mario Run is the winner of the most popular game in 2017. It is also considered as the most downloaded new games in 2017. It is a new kind of Mario game that can be played with one hand. It is a mind-blowing game that lets you control Mario just by tapping as he constantly runs forward. In fact, you can time your taps to pull off polished jumps, wall jumps, mid-air spins to collect the available coins and run to accomplish its goals. The game is available in four different modes (Toad Rally, Kingdom Builder, Remix 10, World Tour). You can try out all the modes without any cost. In fact, you can buy the premium version if you like it. So, this was the list of the games which kept Android users engaged this year. What do you think about them, lets us know in the comments below.